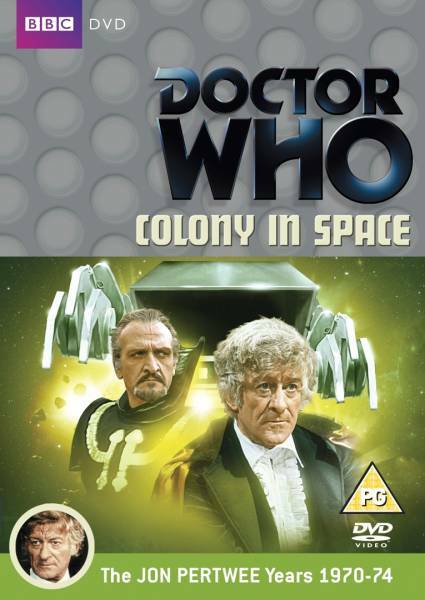 ‘Colony in Space’ is the first off-Earth serial of the Jon Pertwee era, a seeming acknowledgement that the Earth-based UNIT stories are simply not variable enough to carry a franchise inherently built upon flexibility in format. In some regard, the introduction of Roger Delgado’s Master to the fold in this run of serials has by itself been an attempt to inject a science fiction element to the focal alien invasion or mad scientist plot, but exemplifying the Master’s continued ability to travel through time and space is clearly the next logical extension. Notably, Doctor Who doesn’t welcome its return to space with a lavish spectacle, a quarry standing in for the beaten planet and the serial itself lasting six episodes to allow the budget for set design to go that further step in heightening realism. While it would have been very easy for writer Malcolm Hulke to create a base-under-siege tale like the ones so popular during the Troughton years, the story even being set up this way as remote colonists insist that the native primitive creatures are murdering them, the story instead shifts its focus to dealing with much more mature social commentary and allegories that the Pertwee era has already included so well. Indeed, Hulke subverts expectations completely and disregards the notion that Doctor Who needs monsters to thrive, making the villains humans looking to exploit the planet’s natural resources by scaring off the colonists with fabricated stories and threats. While unbridled capitalism may not be the most exciting of foes and the concept of corporate greed may be hammered a bit too much, it’s a wise choice that lends a sense of ethical gravity to proceedings that a traditional monster story would have likely lacked, in the process bringing up xenophobic notions while providing an allegory for the treatment of native species and peoples. It’s also rather fascinating that the colonists have chosen the rough life on this planet out of necessity rather than a sense of exploration, Earth itself being polluted, overcrowded, and morally broken. Not beholden to a simple story of corporate greed, though, Hulke also introduces the concept of a super weapon buried beneath the planet’s surface, one created by the native people that brought about the decay of those people due to its poisonous radiation, a rather interesting counterpoint to the rest of the story. ‘Colony in Space’ also brings in the Master once more, this time touting proper paperwork that puts him in a rightful position of power. This power shift is quite dramatic, but it also puts the Third Doctor in a position unique to this incarnation as he must side against the establishment which he himself has been very much aligned with since his exile. His own lack of documentation or information puts him at a decided disadvantage, and Pertwee plays that discomfort wonderfully to go against what expected reactions of the first two Doctors might have been in similar circumstances. ‘Colony in Space’ features arguably the Master’s most effective appearance to date as well. It’s clear that there is some unexplored link between the Master and Doctor that explains their apparent history prior to ‘Terror of the Autons’ that might also elucidate why the Time Lords seem so keen on the Doctor taking care of the Master when they could so easily do it themselves since they know exactly where and when he is, but here he plays to the dichotomy of the Third Doctor very well. Again, this incarnation of the Doctor is set up as a more pro-establishment figure than his previous two, and the Master acting as the legal adjudicator while proclaiming that it’s impossible for the establishment he represents to be impartial is an interesting facet the plot is unafraid to discuss. With the Doctor still wounded and frustrated by his own exile, the prospect of becoming an all-powerful universal dictator as offered by the Master has never carried more weight. While perhaps the script doesn’t handle colonialism as well as capitalism and doesn’t explore the primitives as fully as expected, ‘Colony in Space’ is still a very enjoyable and rather strong story, proving that Doctor Who can still survive off of Earth and able to incorporate the Master without giving in to temptation and treating his appearance as a shocking twist. It’s a more mature script than many of the spacefaring ones before it, and it’s a strong proof of concept for what’s to come as questions about allying with the establishment continue to be raised.